HootSuite Owls have been flying all around the world. From Chicago and New York to Indonesia and Colombia – check out some recent activities and upcoming adventures! In this Event Roundup, we’ll take a look at upcoming Chicago TechWeek, NXNE and recap the CM Summit and the Get Down to Business Conference in Santa Monica. HootSuite CEO, Ryan Holmes will be speaking at the TechWeek Conference in Chicago. The conference runs from June 22 to 26, 2012 and attendees include heavy hitters from startups to Fortune 500 companies. Notable speakers include: Matt Mickiewicz, Co-founder of 99designs and Travis Kalanick, CEO of Uber. HootSuite CEO, Ryan Holmes will be giving a keynote speech during TechWeek – Beyond the Hype: Social Media Fact and Fiction. HootSuite Owl and Community Building Extraordinaire, Dave Olson hits the big T Dot for NXNE from June 11 to 17, 2012. If you’re a musician, film producer, marketer, public relations pro or community manager, NXNE is the place you want to be. Learn from the insiders and thought leaders of tech and social media, find out about new tools and trends and meet designers, entrepreneurs and other professionals in the industry. Swing by and see Dave Olson speak about Disasters and Revolutions: Scenes from the social media trenches on June 13. Tweet @DaveOHoots and let him know you’re coming. HootSuite Owls, Jessica Wakeman, Peter O’Sullivan and Laura Horak hit the Big Apple last month for the CM Summit. Hosted by Federated Media Publishing, the CM Summit was a gathering of industry leaders and professionals from tech and social media. 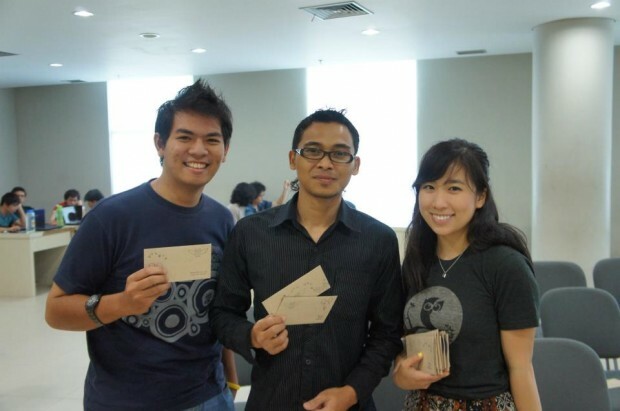 HootSuite’s booth wasn’t the only presence at the event. 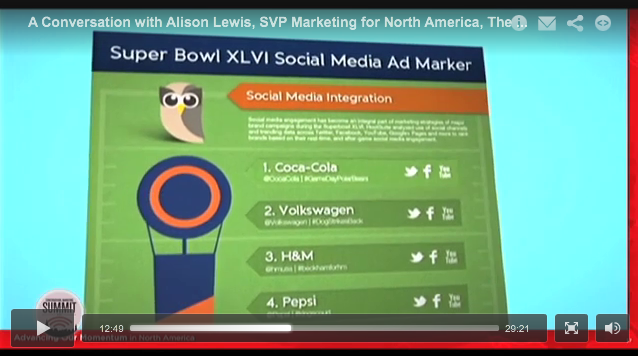 Alison Lewis, SVP Marketing Coca-Cola, featured HootSuite’s Super Bowl infographic in her presentation. Watch it here. 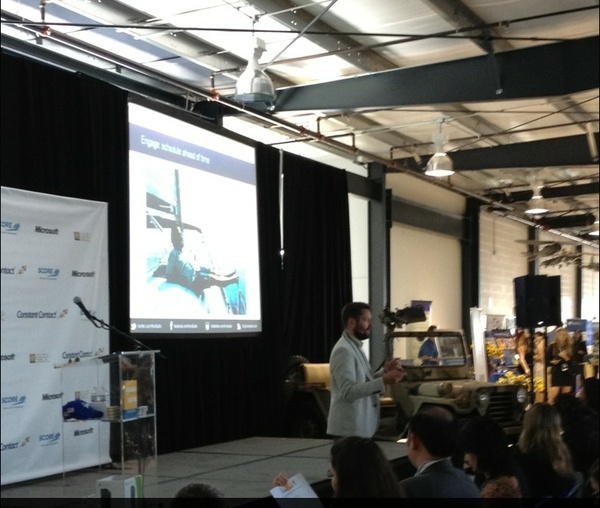 HootSuite VP Business Development, Greg Gunn made an appearance during Small Business Week in Santa Monica. Greg gave a talk at the Get Down to Business Conference about social media strategy. This also marked the West Coast premiere of HootSuite’s unreleased product, HootFeed, which allowed the audience to interact directly with Greg via Tweets that streamed across the big screen on stage. More on HootFeed soon! Greg also attended the HootUp Santa Monica and had a fabulous time meeting our great community of HootClub fans and friends. HootUps are HootSuite’s version of TweetUps, they’re free, casual and fun! Meet owls in real life and share social media tips and laughs. Better yet, host your own HootUp! If you want to host your own HootUp or attend one, check out HootUps and follow @HootUp to learn how. 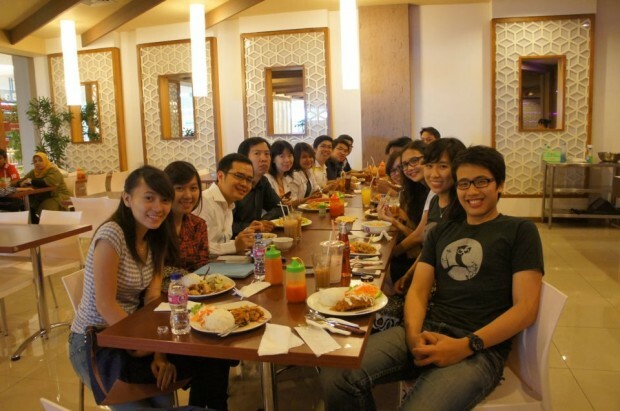 Check out the next batch of upcoming HootUps – This summer we’re in Amsterdam, Bogota, Bali and more! To see where HootSuite is heading next, visit the HootSuite Events page. Plus, get the latest info and announcements by following @HootSuiteEvents. Interested in having HootSuite at your event? Submit a speaking request application.